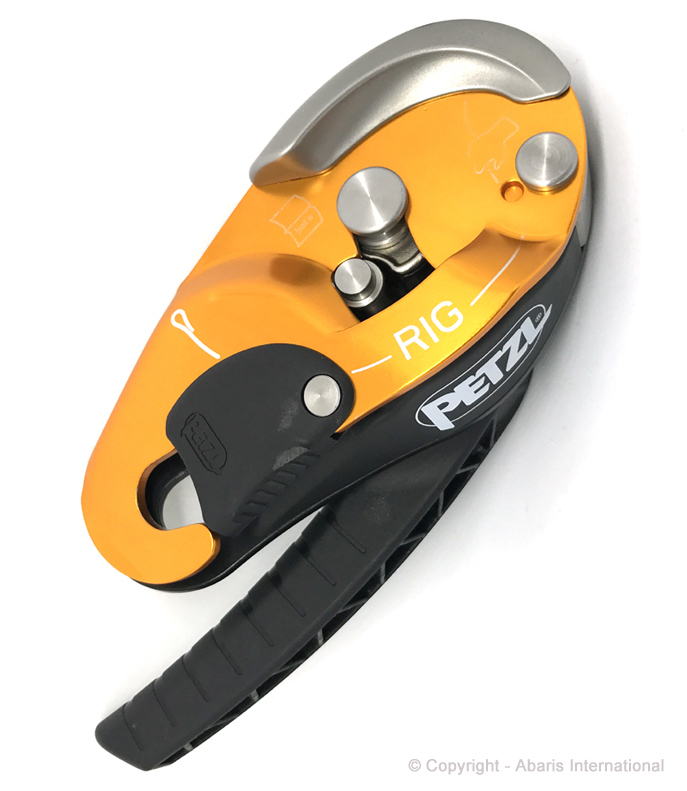 Designed for expert users, the Petzl Rig descender has become increasing popular with the more experienced rope access technicians. 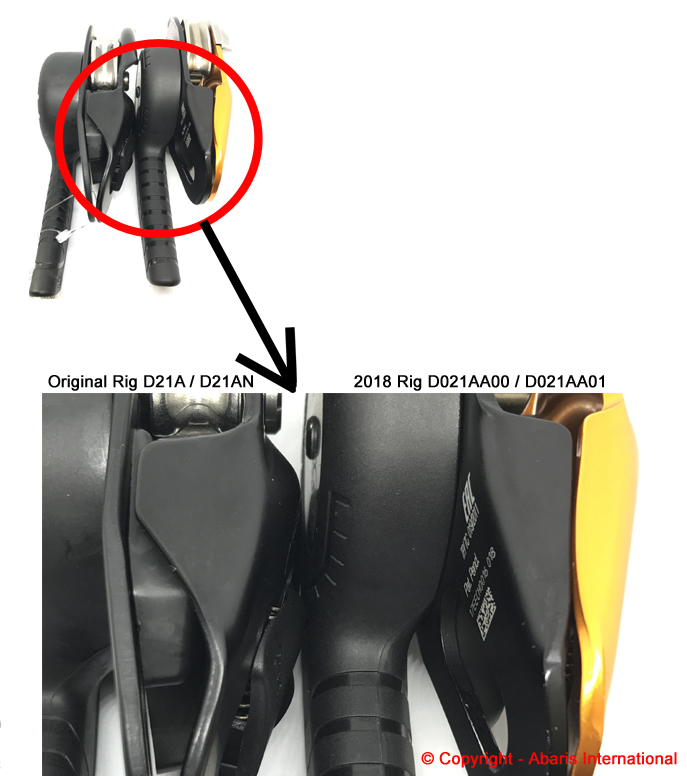 Less bulky than its big brother, the Petzl ID, the Rig ‘fails to safe’ when the handle is released (the device will lock onto the rope), but it does not have the extra fail to safe panic function found on the ID where the device will also lock onto the rope if the handle is pulled sharply downwards in panic. Easy rope installation thanks to the rope guide and markings, the device also has a plastic gate allowing the front plate to twist open so the rope can be fitted / removed whilst it is still attached to the harness, reducing the drop risk. Small but still with the capacity for heavy loads (up to 200kg in exceptional circumstances and when in the hands of expert users! ), the Rig is certified to EN12841 type C (Personal fall protection equipment. Rope access systems. Rope adjustment devices), EN341 class 2A (Personal fall protection equipment. Descender devices for rescue), EN15151-1 (Rescue Descender, Mountaineering equipment. Braking devices. Braking devices with manually assisted locking, safety requirements and test methods) and NFPA 1983 Technical Use. – Once the handle is released the device now goes into a full lock position (the user no longer has to move the handle to a lock position when they reach their work location). – There is now a stainless steel wear section on the front plate where the rope runs during descent which will improve durability. – The front and back plate sections have been redesigned to limit the risk of the rope becoming trapped in the gap between the front and back plates near the karabiner attachment point. – The speed of descent should be managed by varying the grip on your ‘brake hand’, not with the handle. – The maximum speed should be limited to 2m/s.